Okinawa is the place where you can enjoy many "firsts of the year" in Japan. 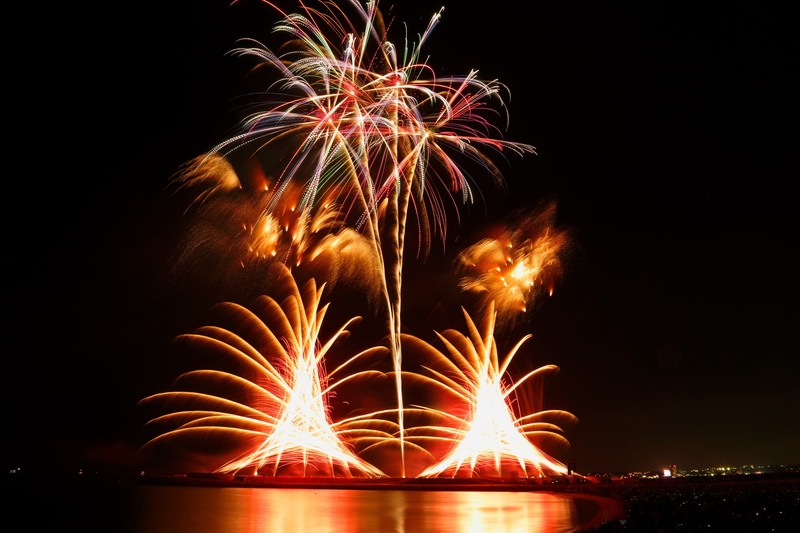 Following the first blooming of cherry blossoms and sunflowers in the country, the first fireworks event, the Ryukyu Kaiensai Fireworks Festival, will takes place on April 13 at Tropical Beach in Ginowan City. The festival was a great success and attracted an audience of more than 100,000. The Ryukyu Kaiensai Fireworks Festival is one of the most popular fireworks events in Okinawa and draws tens of thousands of visitors from around the island, locals and tourists alike, looking to enjoy the fantastic show that combines music and fireworks produced by some of Japan’s top pyrotechnic artists. 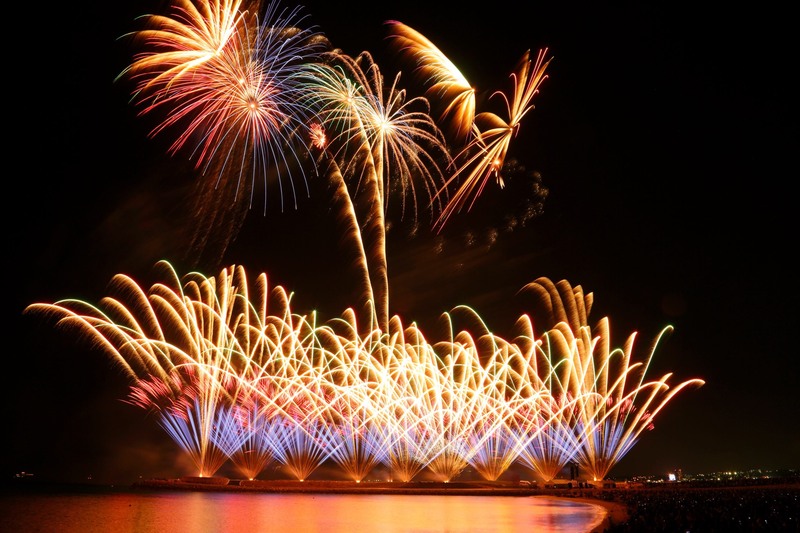 The festival features over 10,000 fireworks displays, some of them designed by world famous master Junko Koshino. The Ryukyu Kaiensai Fireworks Festival is an Okinawan festival that you don’t want to miss! *Advance tickets are available at all locations of Family Mart through the Eplus ticketing machine or Rakuten ticket online. If all the tickets sell out in advance, there will no same-day tickets available.